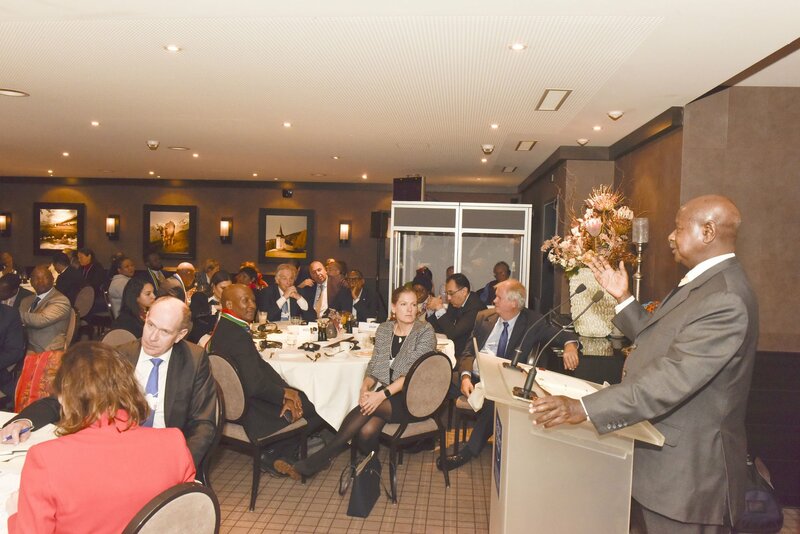 President Museveni speaking at an interactive pannel discussion titled "Peace building in Africa", in Davos. 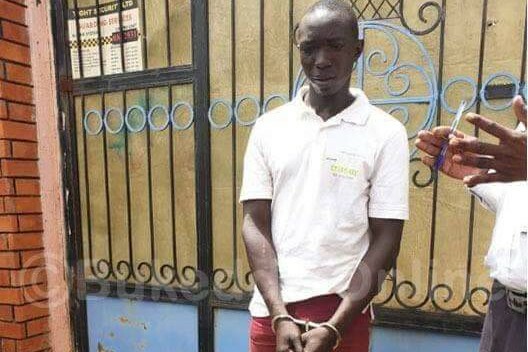 President Yoweri Museveni has highlighted the emerging concern of youths who continue to be sidelined in the economy amid Africa’s rapidly growing population, arguing this must be addressed. The President made the comment while in Davos, Switzerland where he is attending this year’s World Economic Forum. Museveni was Thursday speaking at an interactive pannel discussion titled “Peace building in Africa”, on the sidelines of the ongoing Forum. The discussion was moderated by Bineta Diop, the African Union Chairperson’s Special Envoy on Women, Peace and Security. “Besides the traditional political and ideological conflicts Africa has always faced, there is a new but healthier conflict posed by its growing population, which now stands at 1.3 billion people,” the President said. 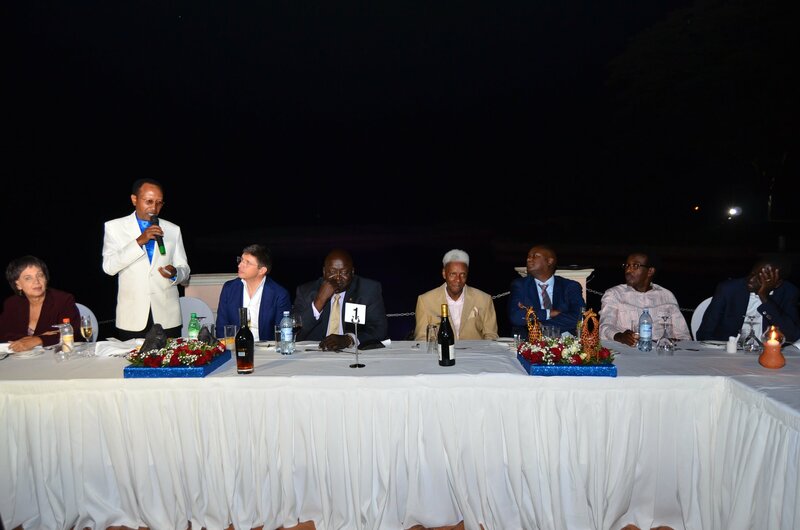 “The bigger concern is the youth segment which is not accommodated by the economies,” he said, adding “it is these socio-economic issues that we must address while avoiding the usual ideological conflicts”. He also pointed out the need to address challenges of infrastructure development, electricity and skills in order to embrace a new revolution. 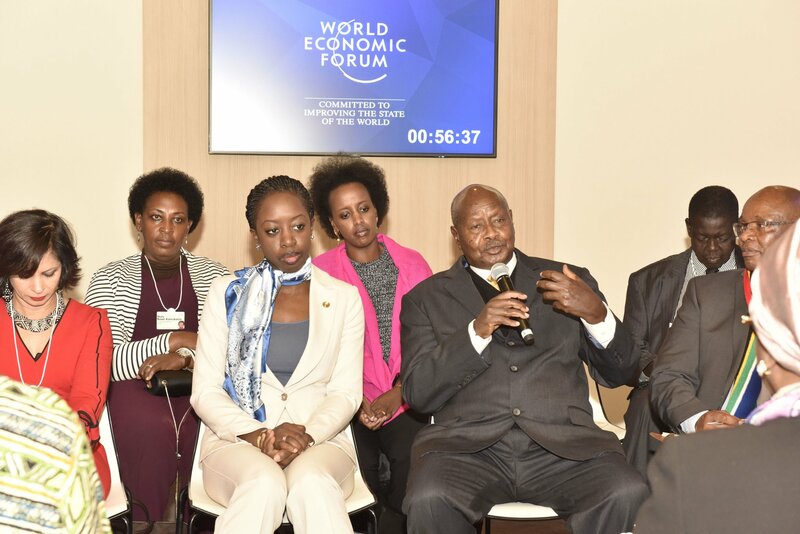 Museveni arrived in Davos on Tuesday to join global thinkers and leaders in politics, business and culture, to discuss how to make globalization work for everyone – the theme for this year’s summit. 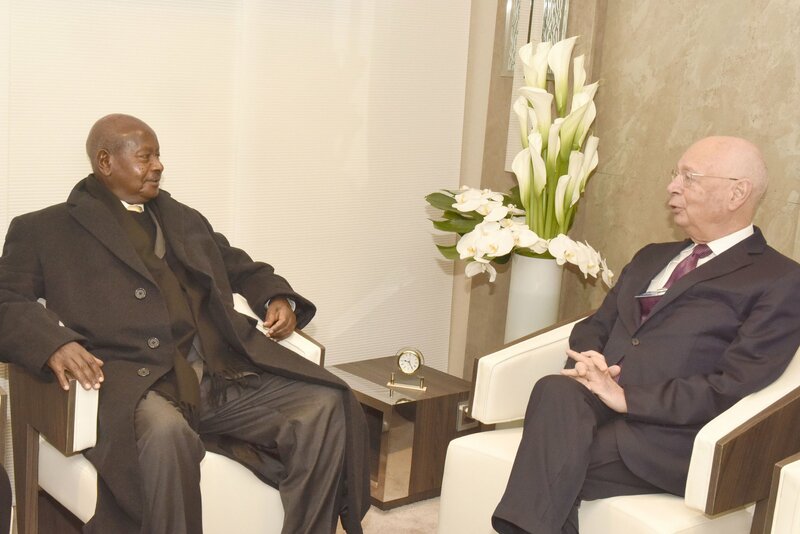 During the past few days, Museveni has met and held discussions with among others Prof Klaus Martin Schwab, the founder and executive chairman of the World Economic Forum. 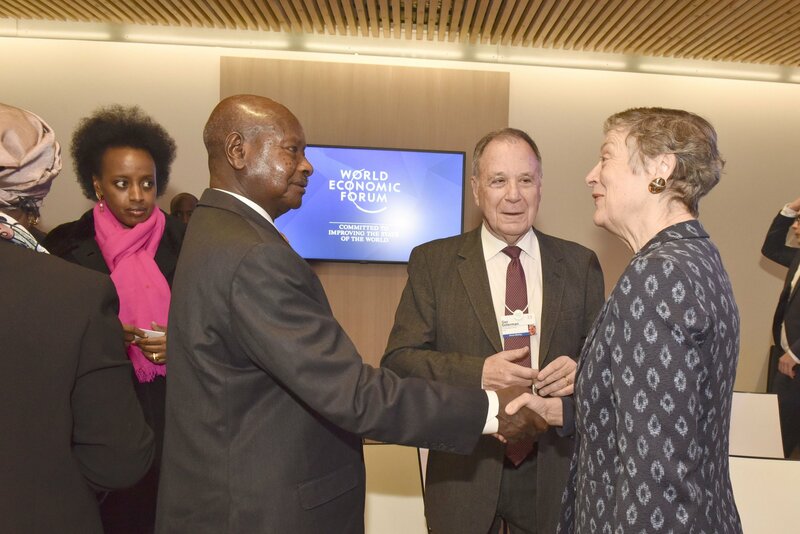 The President informed Prof Klaus that Uganda was willing to host the next World Economic Forum on Africa. He said it will be an honour for Uganda to host a meeting of such significance. The last WEF (on Africa) was held in South Africa. 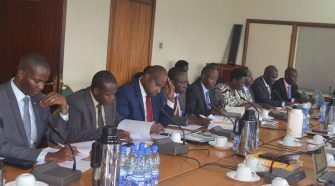 Museveni also met with the Executive Director of the World Food Programme, David Beasley, and his team. 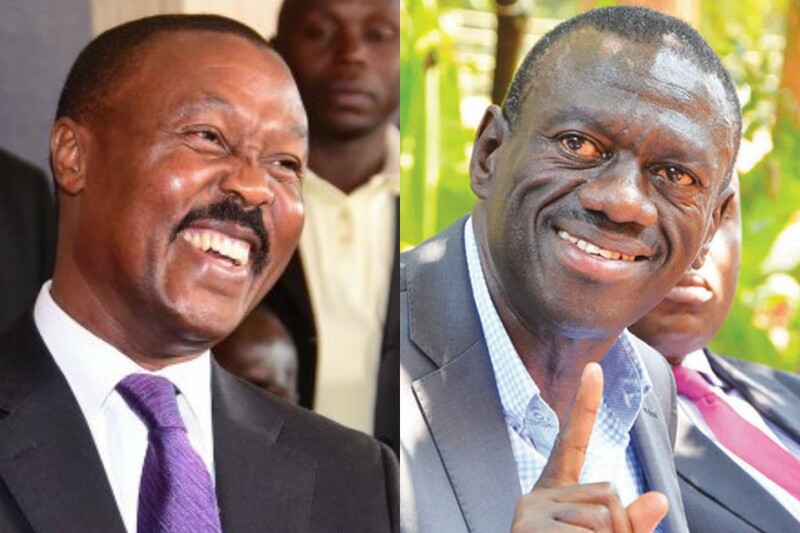 The two leaders discussed “means of strengthening cooperation” between Uganda and World Food Program. 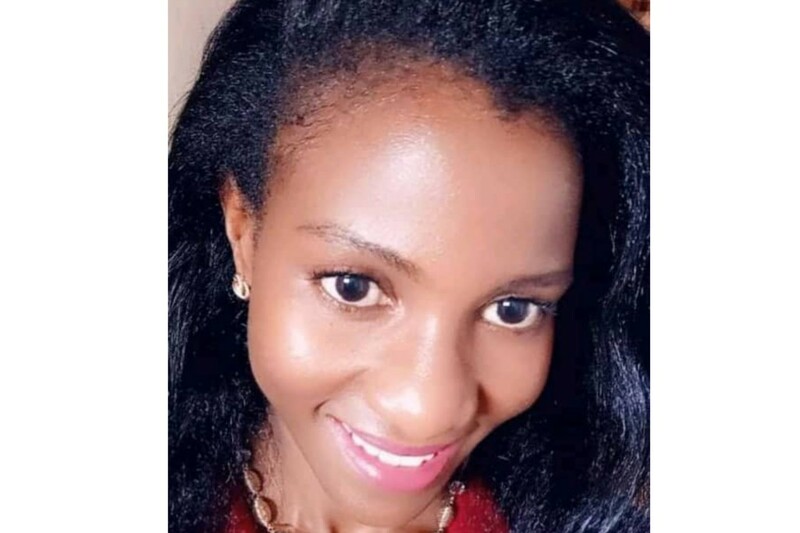 World Food Program is involved in several humanitarian operations in Uganda given the over 1 million refugees that are currently hosted in the country. 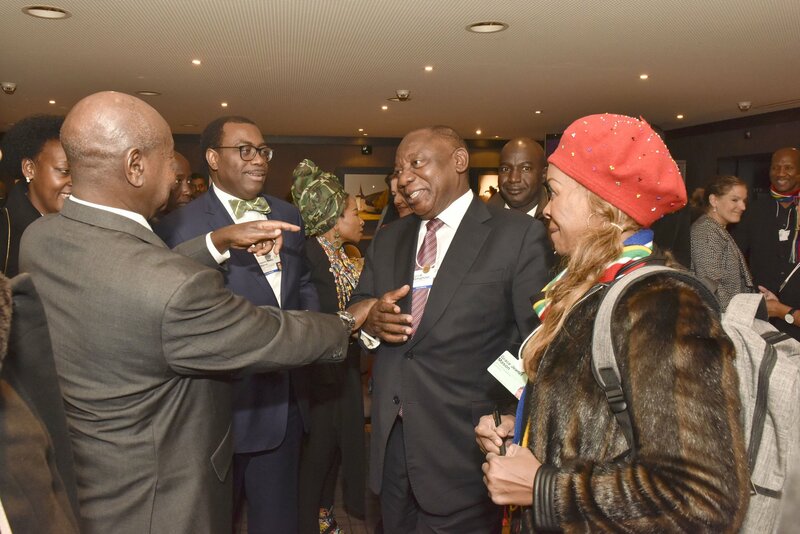 Still in Davos, President Museveni addressed a roundtable meeting organized by the Africa Strategy Group, themed on shaping Africa’s agenda in the global context. 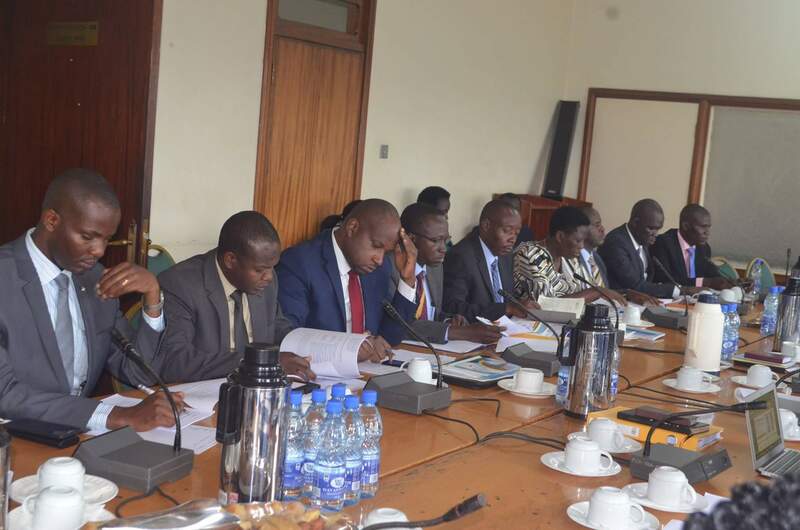 At the meeting, Museveni said that “part of our lagging behind was the attitude governments had against the private sector” but added that this has changed. “The people excited about artificial intelligence are those who already have developed infrastructure and a developed human resource,” he noted. According to Museveni, artificial intelligence alone without infrastructure development such as railway and electricity can not be useful.